That’s the number of projects that have been managed with Basecamp. Companies trust Basecamp because it’s *the* gold-standard for managing projects, working with clients, and communicating with your team. Don’t settle for imitators and also-rans. If you want to finish projects faster with less chaos and confusion, there’s only Basecamp. 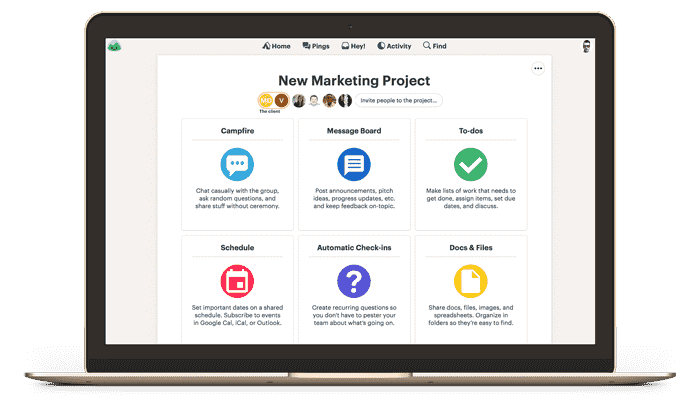 Ditch the mess of Slack, Asana, Trello, Jira, etc.